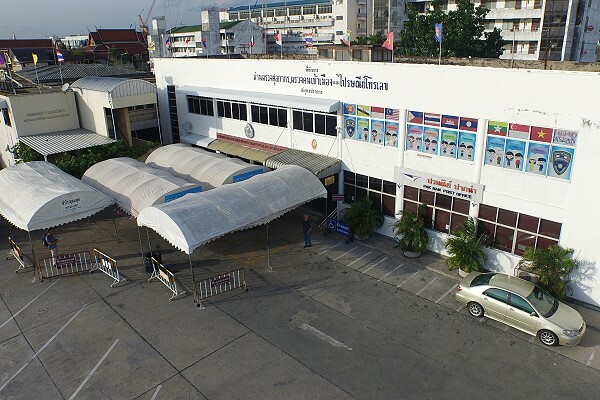 Samut Prakan Immigration is in the same complex as the Provincial Hall, City Hall and District Office. 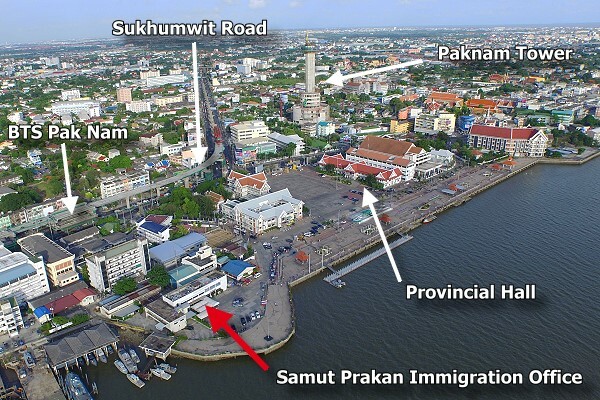 It is along the waterfront in Samut Prakan City and next to Paknam Post Office. The GPS co-ordinates are 13.601410, 100.595889.